The magazine has been released and issue 1 can now be read on the blog and bought in print. You have all been absolutely amazing with your submissions, I feel honoured to be able to work with such talented and inspirational people. I am really excited about this new beginning in my life and of course the new beginning theme of the magazine. You are probably all dying to hear what the next issue's theme will be and I am pleased to announce that the theme for issue 2 will be 'Heritage'. 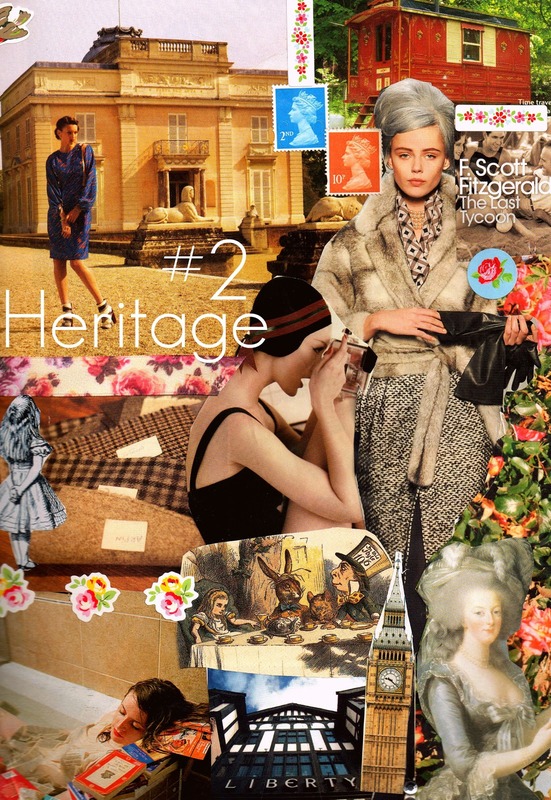 Think Quintessentially English, Country Manors, Vintage, Old school glamour, Marie Antoinette, Bolsheviks, Ancestors, Legacy, Tradition, Literature, Classics, Icons,Generations, High Fashion. To give you a better idea of the theme I have made a mood board to illustrate just what I mean and to help you feel inspired by the new theme. Here are some guidelines for submissions but basically, if you want to contribute anything at all then do not hesitate to email me. I am also thinking about appointing some titles to people who are interested in playing a regular role in the magazine so if you feel that this is you...please let me know. Please feel free to have a go-we welcome everyone and no previous experience is necessary. And remember...If at first you don't succeed, try, try and try again. So excited to get started on this project!